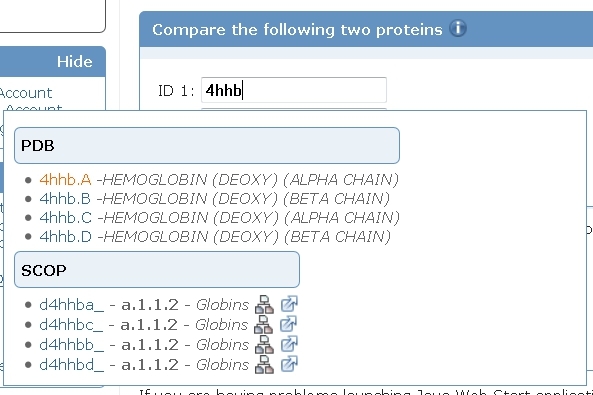 Enter 4hhb in the text field for ID 1 and the tool will automatically show all chains. 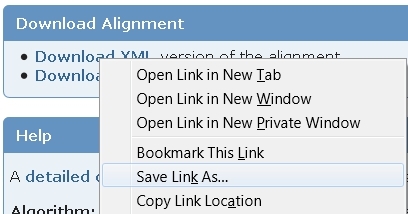 Select chain A by clicking on it (image ). 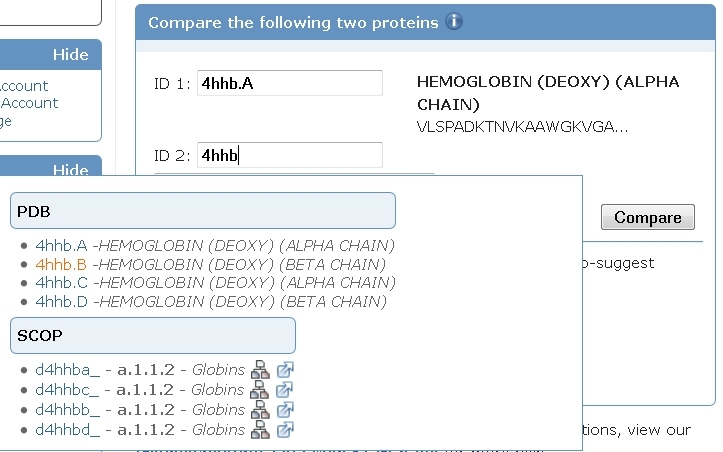 Enter the same identifier in the text field for ID 2 and select chain B (image ). 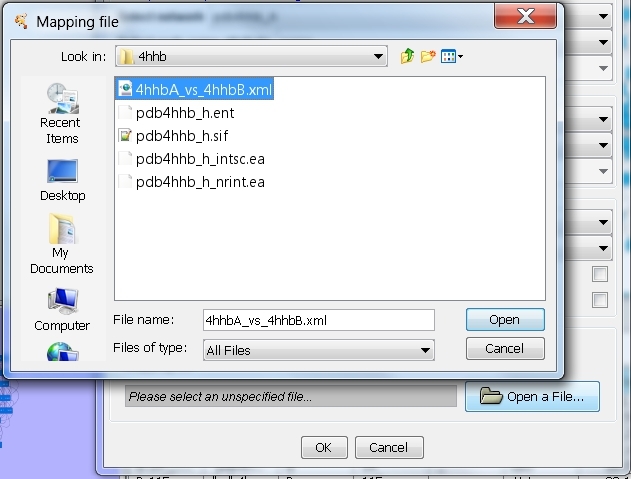 Retrieve the RIN data for PDB entry 4hhb following the instructions in Tutorial 1 (part 1). 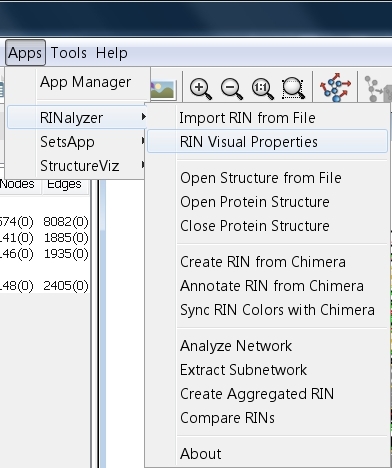 Go to Apps → structureViz → Exit Chimera to close UCSF Chimera properly as we do not need it for this tutorial. 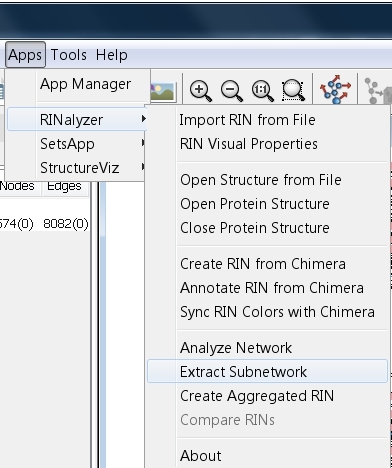 In Cytoscape, go to Apps → RINalyzer → Extract Subnetwork (image ). 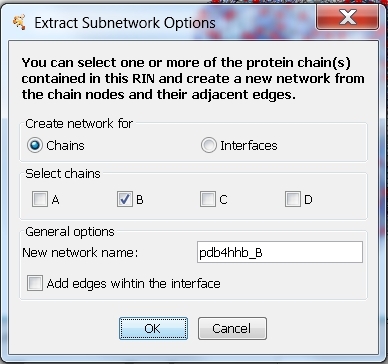 Check the box Chains and then chain A, enter a name for the new network, e.g., pdb4hhb_A, and click the OK button (image ). 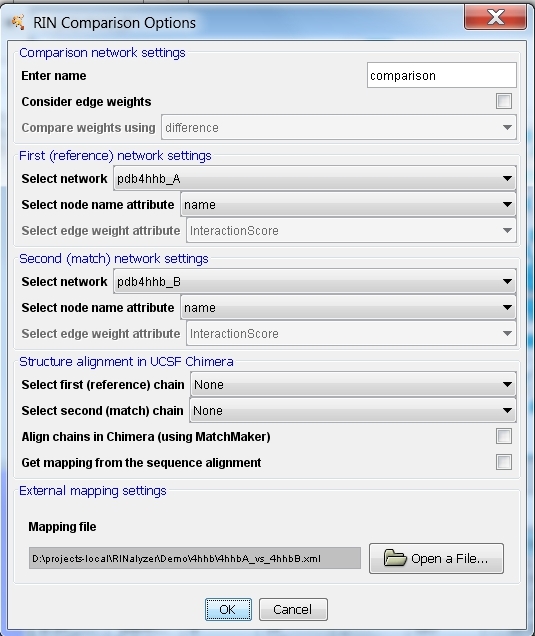 A new network is created that contains all nodes belonging to chain A. 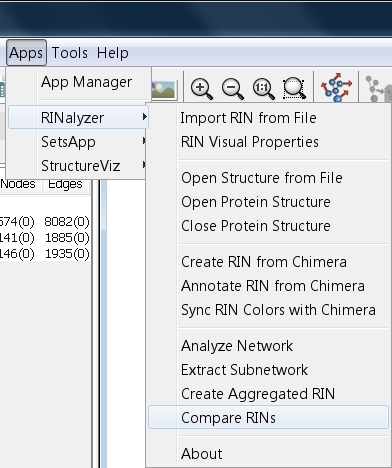 Go to Apps → RINalyzer → Extract Subnetwork (image ). 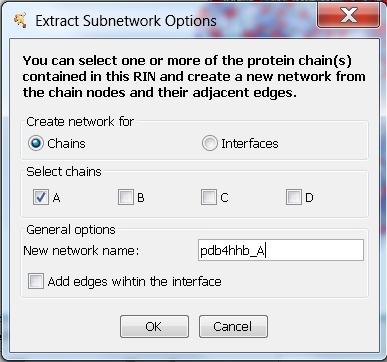 Check the box Chains and then chain B, enter a name for the new network, e.g., pdb4hhb_B, and click the OK button (image ). 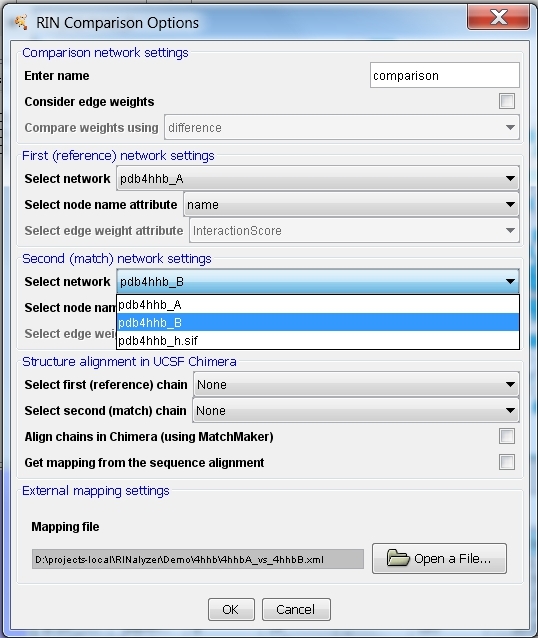 A new network is created that contains all nodes belonging to chain B. You can apply a layout to both networks and customize their visual properties (go to Apps → RINalyzer → Visual Properties). 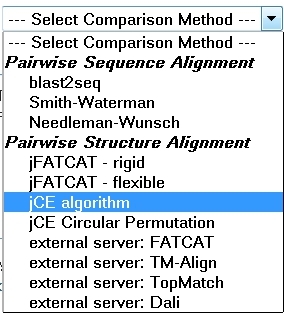 The Organic layout by yFiles (go to Layout → yFiles → Organic) can be useful in case you do not want to open the corresponding 3D structure in UCSF Chimera, which is a precondition for applying the RINLayout. 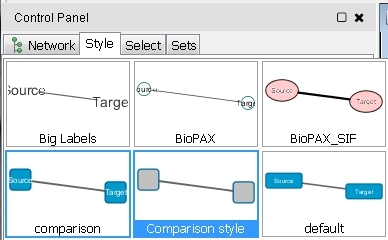 Enter a name for the new network, e.g., comparison, select network pdb4hhb_A as first network, network pdb4hhb_B as second network (image ). 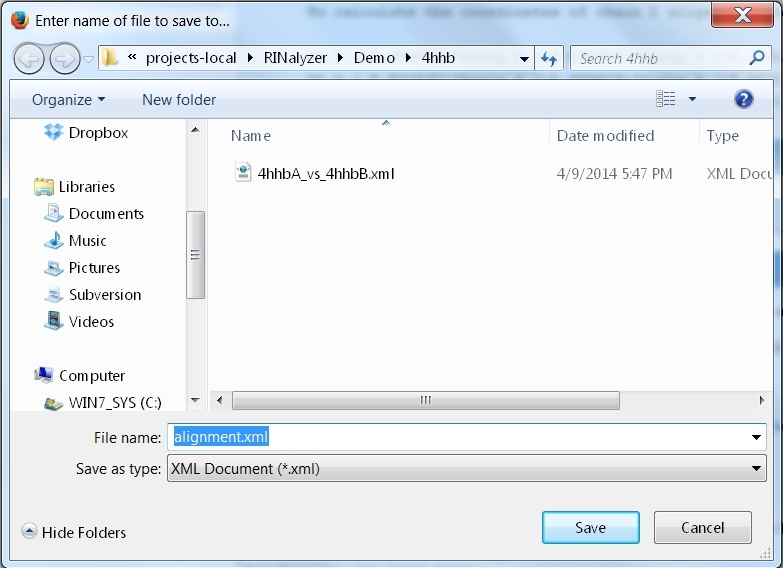 Click the Open a File... button and open the alignment file downloaded earlier (image ). 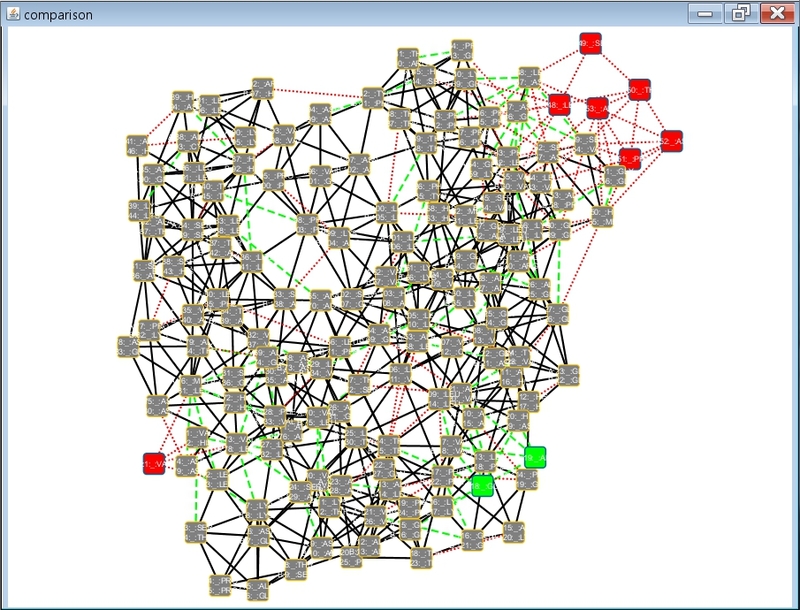 A new network with 148 nodes and 2405 edges is created (image ). 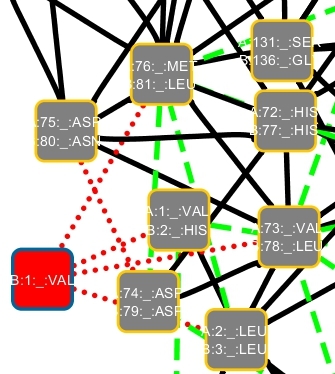 Solid black lines represent interactions present in both networks, dashed green lines interactions in the first network only, and dotted red lines interactions in the second network only. 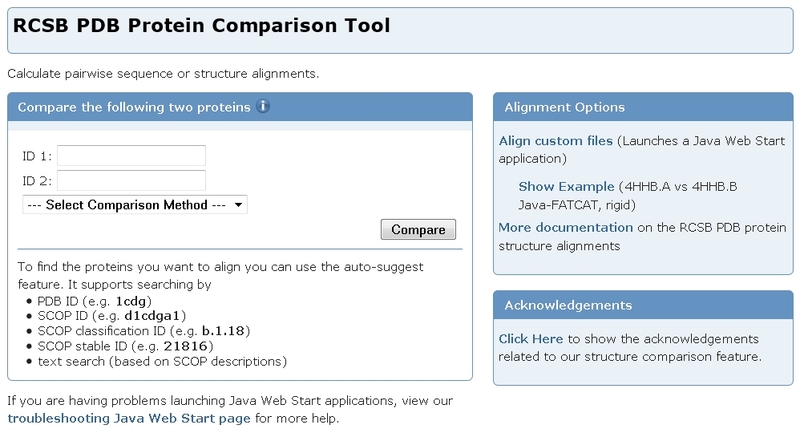 In the Control Panel, select the Style tab and click the drop-down list to select the default comparison network style called Comparison style (image ). 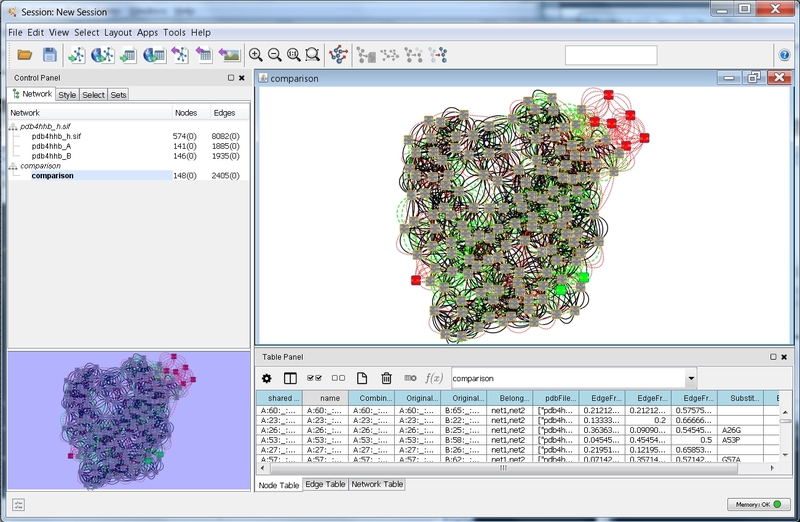 Now, the network looks as in this image and by zooming-in you can observe the residue interaction differences between the superimposed α and β subunits of the human deoxyhaemoglobin (image ).